my trusty companion in photography, the Lowepro Pro Roller X300. Working trip working trip. Time to pack again. for an exclusive tour of Pentax’s production plant. This exclusive trip is made possible by APDS, the local distributor for Pentax. Looks like I have got a lot on my plate this time. And I will be doing some other personal projects at the same time with other Pentax Bodies & Lenses, plus all the accessories, chargers, etc, I found myself staring at the Lowepro Pro Roller X300. Photo: Gears to be Packed for this working trip. + other little knick knacks like spare memory cards, blower, lenspens, cleaning cloth etc. 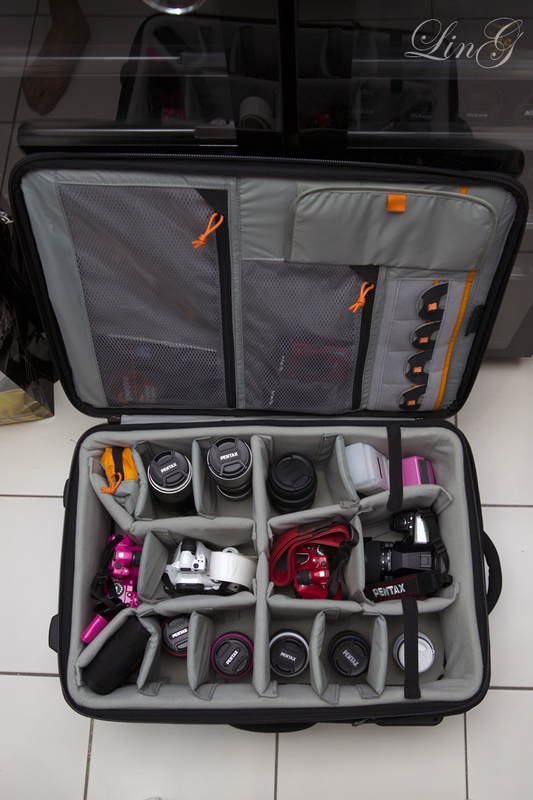 With some quick configuration of the paddings and sensible arrangement, everything is packed nicely into the Lowepro. See how I have packed the travel inventory in the X300. Totally amazing! 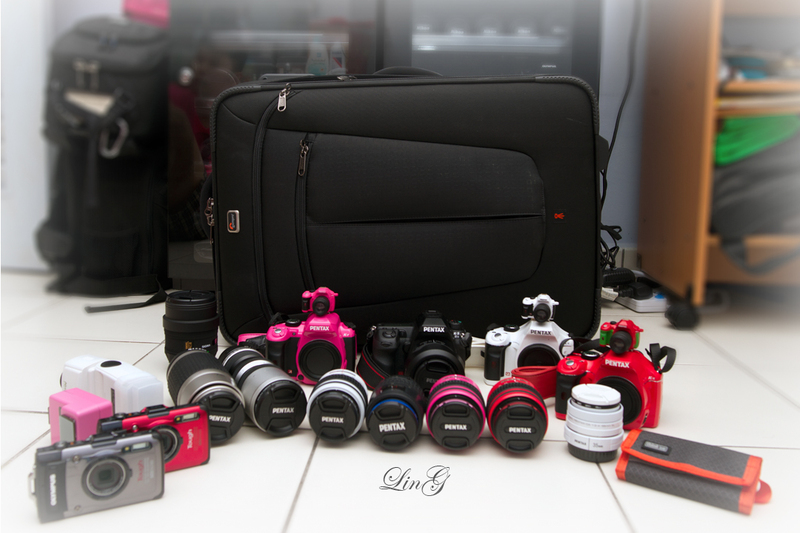 Photo: All Gears Packed into the Lowepro Pro Roller X300!. that the X300 is a “transformer”. First I pull out the built-in back stand and have the bag half laid. Photo: The Lowepro Pro Roller X300 comes with built-in stand. I can easily remove the “insides” by a zip and pulls out a Back Pack that was “embedded” all along inside the roller hard case. Although another brand, “TT” that I once used has the same function, the capacity cannot match my needs. That’s another story anyway. 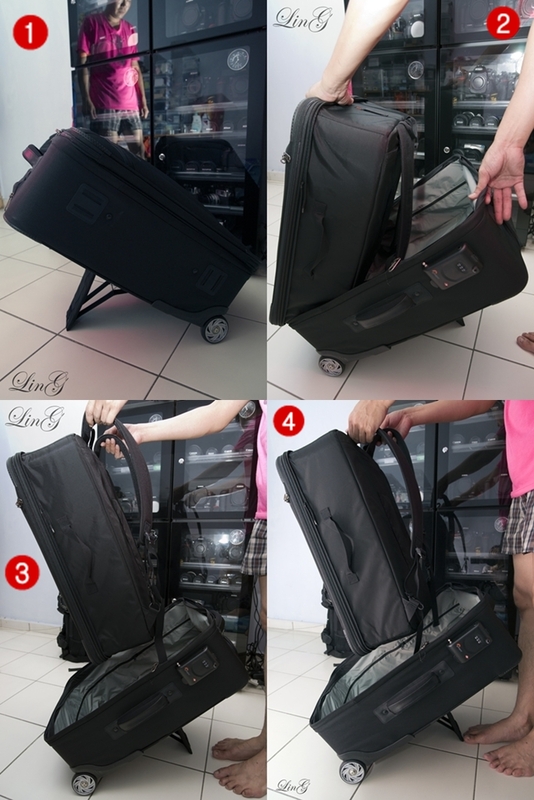 So, after separating the back pack and the roller case, I can just easily check-in the roller case. No issues at all! Photo: The Lowepro Pro Roller X300 transforms – so easy and in less than a minute. 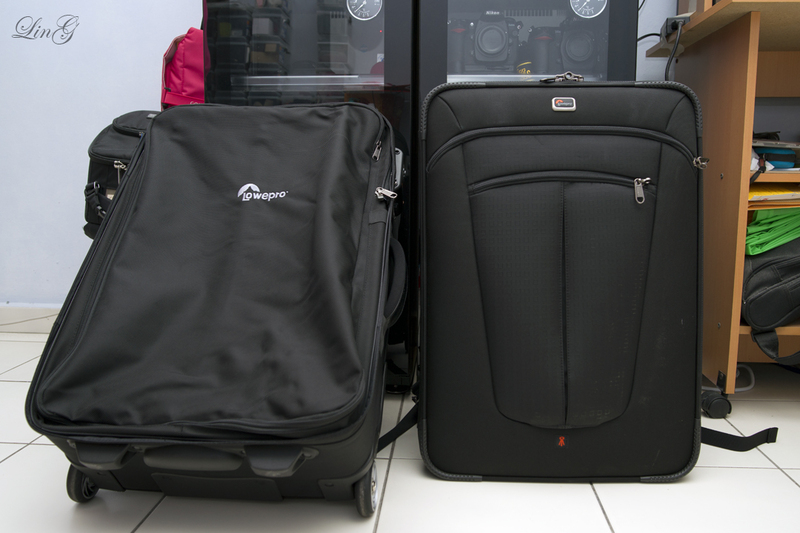 Photo: The Lowepro Pro Roller X300 rollers case & the back pack side by side. purchases from the Duty Free Shops. Don’t Ask what I bought. Off to Cebu in a couple of hours. This entry was posted in Brand: Olympus, Brand: Pentax, Brand: Sigma, Featured Photography Merchants, Group Test & Reviews, Photography Articles & Videos, Uncategorized and tagged Cathay Photo, DSLR, Lenses, LowePro, Olympus, Pentax, Photography Accessories, Sigma. Bookmark the permalink.